I’m thrilled to report that luck was on our sides today. Even though the day began with dense gray clouds, about one-third through the partial eclipse blue skies started to peek through. And it remained clear for us to see the total eclipse! 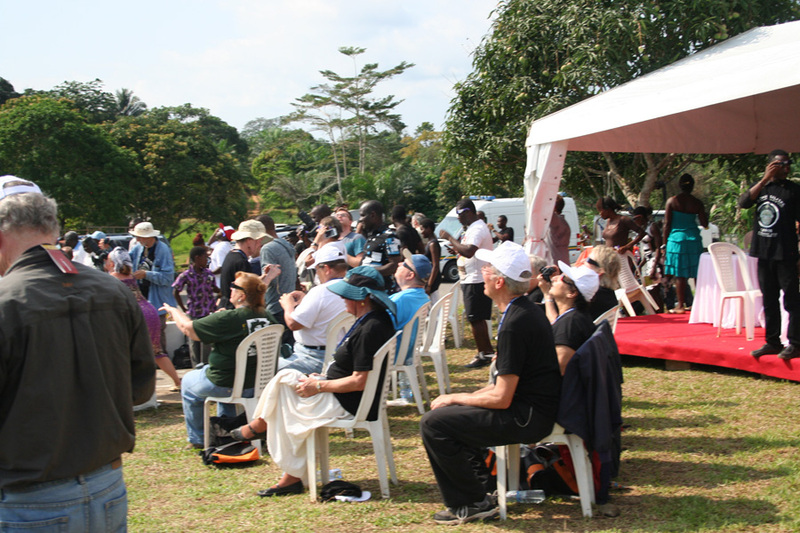 Screams of excitement and amazement echoed through our observing location. As for my father and I — this was our first eclipse, and all we could say was how amazing the site was. After totality, I couldn't wipe the smile off my face. Punching circles into paper and then letting the thin crescent Sun filter through creates an awesome effect. One of our tour members made this sign, and we all had fun looking at the crescent images it produced. We were a bit worried earlier in the day. The first sign of trouble was about halfway through our drive to the site, when we had to turn off the air conditioning in one of the buses (the one I was on, incidentally). Shortly after, we could smell rubber burning. And then, we pulled over. One of the engine’s belts had broken. The driver actually held up the belt, looking at it as if trying to find a way to put it back together. While that wasn’t an option, most of our local tour guides stayed behind with the broken-down bus and the 16 of us joined the other 15 group members — plus a driver and a local guide — in the other bus. It was a tight squeeze, but we managed to make it to the observing site at about 10:30 a.m., with plenty of time to spare before the partial eclipse began at 1:15 p.m.
Before totality, even as the Sun remained hidden behind thick clouds, many of the locals gathered at the same observing site as us. 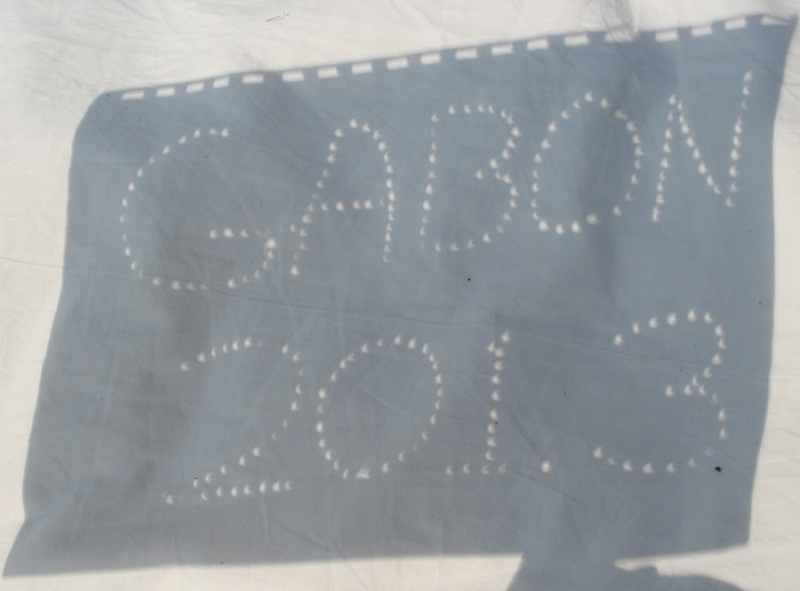 We viewed the eclipse from an elementary school about 130 miles (205 kilometers) southeast of Libreville, Gabon. People marched down the street, swaying palm branches and dancing. Children from the elementary school were also at the location. And imagine our surprise when, about halfway through the partial eclipse, the Gabonese president and his family also came to the same site to watch the rare spectacle. They were very gracious, and spoke with many of their fellow observers — locals and tourists alike. 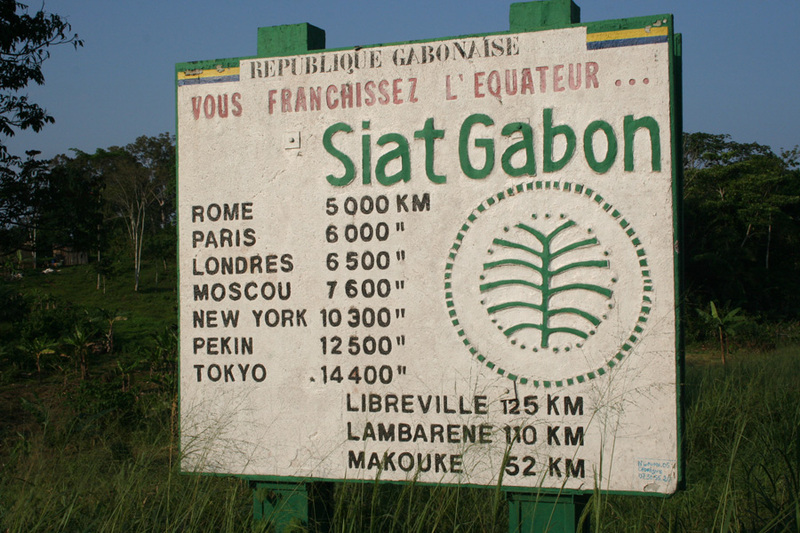 Our observing location was just south of the equator, so we had to stop and take a few pictures of the sign that marks the border. All of us at this location were able to experience one of nature’s greatest shows, and none will likely ever forget it. Locales were playing drums, children were dancing, and members of our group were hugging one another — ecstatic to have just witnessed totality. While this was my first total solar eclipse, it certainly won’t be my last. It was an incredible sight.